If you are an enthusiastic and committed early year’s professional with a desire to continue to develop, this course will be right for you. A key component of this degree is the application of the ideas and information you learn in taught sessions in your workplace. Endorsed by the Early Years sector and can lead to a top-up honours degree in Education and Training. Completion of which will support you in pursuing a career in teaching, although further study and qualifications are needed. You will already be working within early years, on a paid or voluntary basis, when you begin this course. Your work-based learning will be developed and formalised in your studies with us. As you review your own practice and knowledge, you will enhance your prospects in this field; you may also wish to consider progression to an honours degree. Please note to study this Foundation degree at City College, you must apply for the course through the University of Portsmouth. On applying you will be asked to select your location of study on the form, where you can choose City College Southampton. 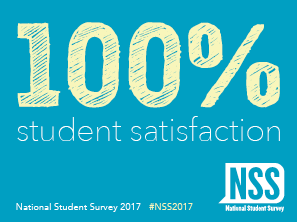 The Foundation Degree in Early Years has been awarded 100% satisfaction in a 2017 student survey conducted by National Student Surveys (NSS). On this course you can apply the ideas and information gained in the course to your workplace, and vice versa. This course is part time and students attend for the equivalent of a four-hour session per week during term time. These sessions are arranged so that students can benefit from working in groups as well as attending presentations and lectures. Lectures provide a basic grounding in a particular topic, regular group seminars and discussions allow for opportunities to explore ideas and share good practice. One-to-one tutorials will help develop learning and key skills and will be instrumental in monitoring your progress. Additionally, some topics will be taught through distance learning via the online learning environment. Students are encouraged to find a workplace mentor who will also support you in your practice by acting as a critical friend in your reflection and thinking about personal and professional development. Coursework assessment takes a variety of different forms including case studies, reflective reports, essays, presentations and group work. You will be provided with clear assessment criteria for all your assignments and tutorial support to help you understand academic requirements. Those with no formal qualifications may be considered but will need to have extensive experience in Early Years. You will need to apply directly to the University of Portsmouth. If you are studying for your first higher education course, you can benefit from a range of financial support. Visit www.slc.co.uk for more information. Need help with funding your studies?